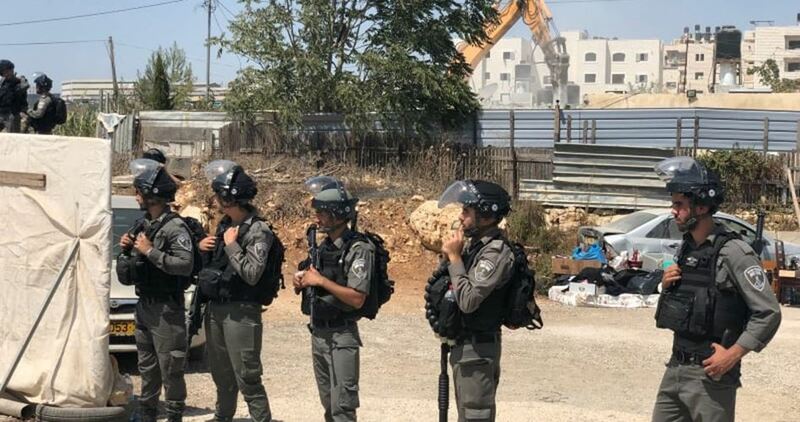 A Palestinian report said that the Israeli occupation authority (IOA) had demolished 19 Palestinian structures and notified citizens of its intents to raze 15 others in last October. The report, which was released by al-Quds Center for Palestinian and Israeli Studies, affirmed that Palestinian educational facilities were among those structures that received Israeli demolition threats last month. The report pointed out that the Israeli government bulldozed vast tracts of Palestinian land and approved the construction of many housing units and roads for settlers in the West Bank and Jerusalem during the same month.